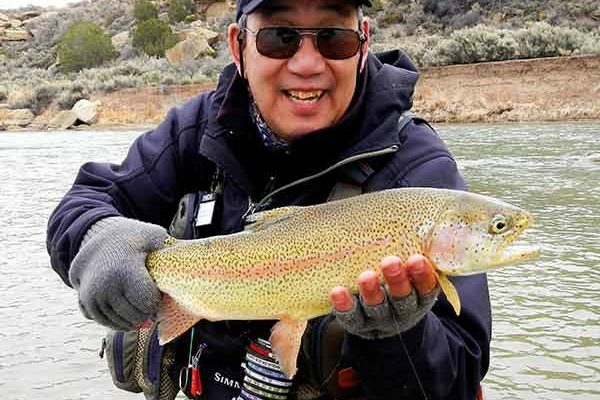 Rick Takahashi is an author, artist, and demonstration fly tier who often displays his skills at local and regional venues such as the Denver Fly Show, West Denver Trout Unlimited Fly Tying Clinic, International Sportsmen Exhibition, Federation of Fly Fisherman Conclave, and at various regional fly shops near Denver. He is an illustrator and contributor to Fly Fisherman magazine, and his art has been used for the Federation of Fly Fisherman Conclave. Rick is a fly designer for Umpqua Feather Merchants and industry consultant. He works at Anglers Roost in Fort Collins, Colorado.